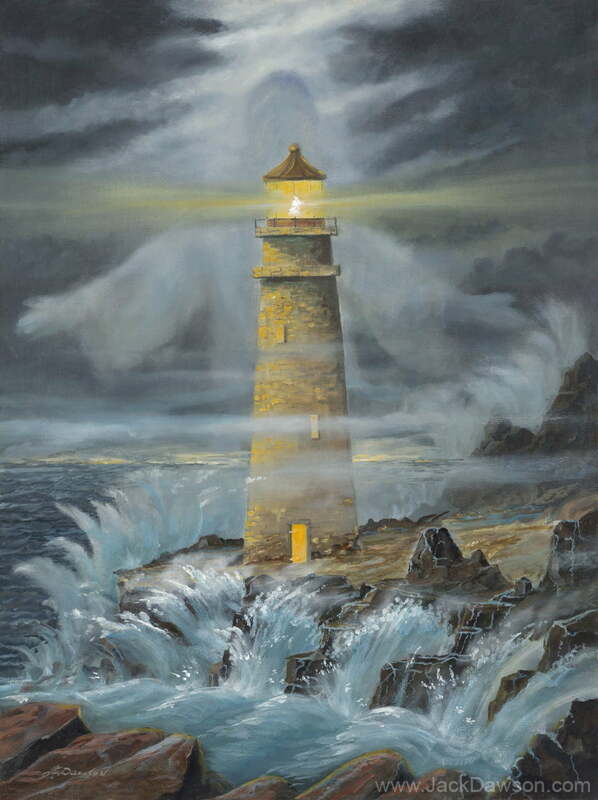 Do you see Jesus in the clouds behind the lighthouse? He is the light that shows us the way in the storms we face. He has promised to guide us safely to our heavenly home. Without Him we would be destined for destruction; but with Him we can confidently sail the seas of life.